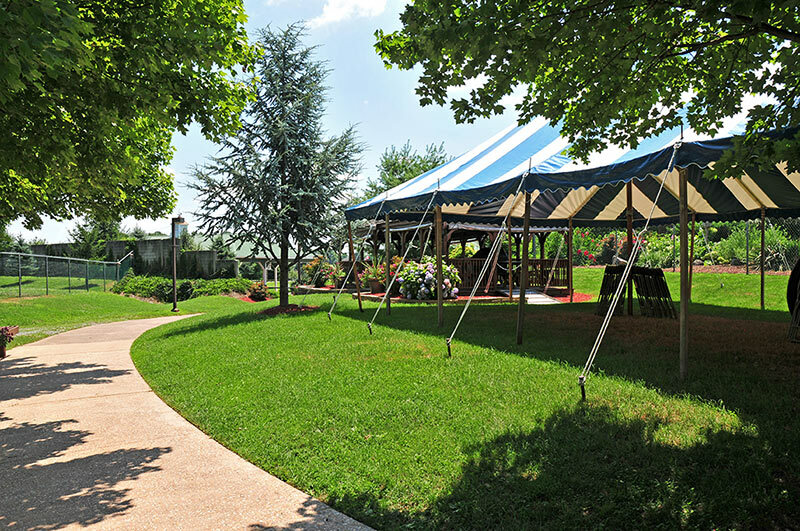 High Sports rents this on-site attractive gazebo for groups visiting the complex. It seats approximately 50 people. One gas grill is provided for preparation of your own food. You may also coordinate plans with a caterer. 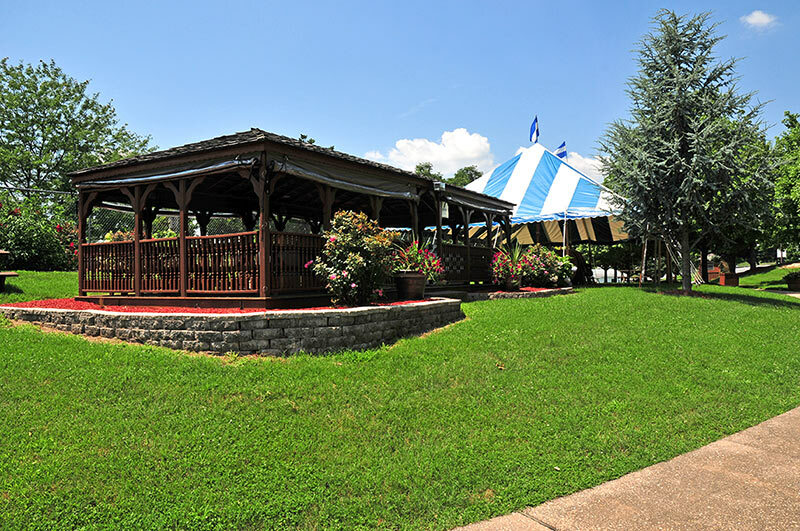 The gazebo can be rented but must be scheduled in advance and a deposit of $50 is required. On the day of your group activity, $40 dollars worth of tokens are presented to your group to use, good on any of the amenities at High Sports. The gazebo is scheduled in 4 hours blocks from either 12-4 pm or 5-9 pm.